deux cartes (format poster) représentant le Flanesse. 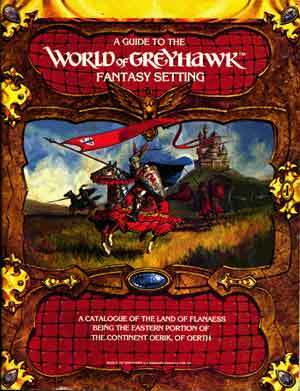 A Catalogue of the Land of Flanaess being the Eastern portion of the Continent Oerik, of Oerth. Enter a World of Wonder & Intrigue...A world where bandit kings raid from their remote stronghold...A world where noble elves fight savage invaders and where bold knights wage war on the terror of Iuz...A world scarred by a vast Sea of Dust, across which drift lost memories from the awful, forgotten past. 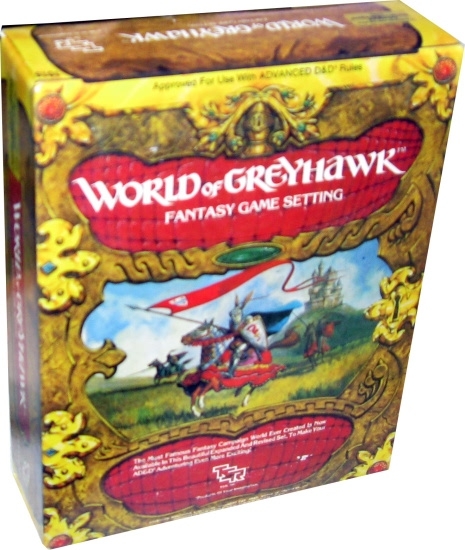 Enter the WORLD OF GREYHAWK... Fantasy Game Setting for a panoramic view of this fantastic place. 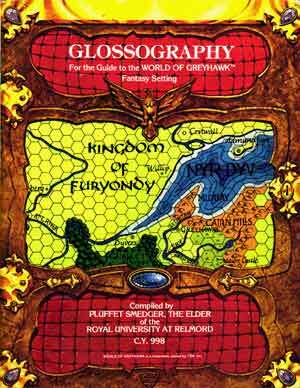 More than a collection of maps and names, it is an active world filled with decaying empires and dark forests. 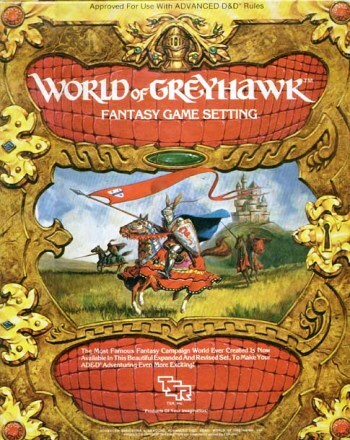 Game elements include the gods of Greyhawk, the clash of political factions, and encounters in this wild land. 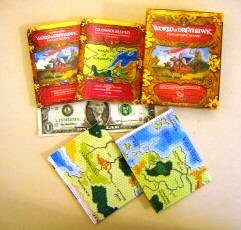 The Most Famous Fantasy Campaign World Ever Created Is Now Available In This Beautiful Expanded And Revised Set, To Make Your AD&D® Adventuring Even More Exciting !